Located on top of an old brick warehouse in Shoreditch, London, Village Underground provides affordable studio space for young artists (around 15 pounds per week). 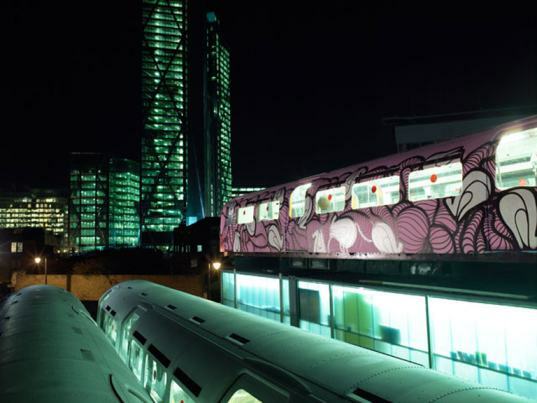 The subway cars act as working spaces for the artists, while a lower-level restored warehouse is used to host events and exhibit the artists’ works. 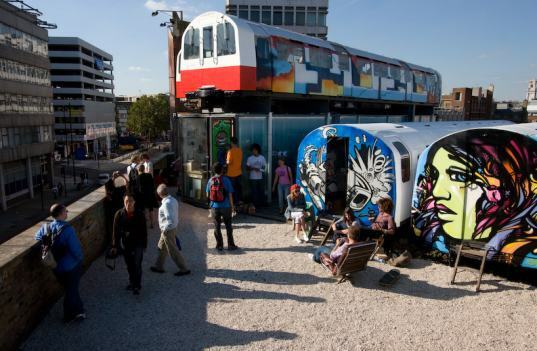 The four subway vehicles that make up the village were purchased for a grand total of 200 pounds each. They were then moved on top of the warehouse, and retrofitted to create a working space. The seats inside the carriages were removed, but everything else remains as is.